A classic approach to fresh citrus and blooms. What a fun and crisp shower we planned for Bride-to-be, Cathleen in the midst of Spring. Our inspiration came from the Minted invitations designed by Meg Gleason of Moglea. We needed something to compliment the exuberant wall color in the space so we paired it with citrus and floral in order to parallel the color tones. We flushed much of the main elements in white such as chairs and table linens in order to break up the warm hues. The stark white canvas then allowed for the smaller details to pop. 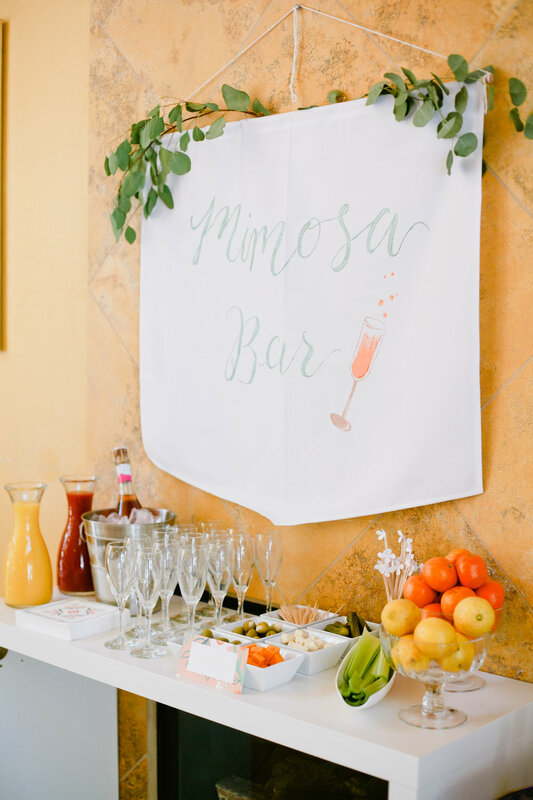 With a little bit of fancy glassware from Fancy Lou and custom treats from Ruze Cake House, this classic look really set the tone for the girls to enjoy an afternoon of brunch and mimosas.